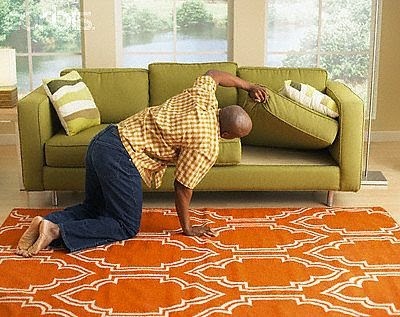 Home » Blog » How to Find your Lost Mobile Phone Even When it is on Silent. It is not funny when you lose your mobile phone, most especially when it is on silent. If you are alone, it makes the matter worse. It can be very frustrating and extremely hard to find your cell phone even if the ringer is on, considering that most of us don’t have a landline with which to call the phone. So if you are alone in the house and you misplaced or lost your phone, how are you going to find it? You may find yourself hunting for your phone everywhere in your house. Don’t tear your house apart in anger until you have tried some of these helpful tips that will help you find your missing phone. You can use the Google Voice call feature and is safe and secure for you. If you already have an account with Google, enter any phone number you can remember and Google Voice will call your phone first before calling the number you entered. However, you need to be careful because as pointed out by a website Lifehacker, Google Voice will still call the other number if you don’t find your phone and answer before voicemail takes over. Don’t trust sites like the one above? You can also use the Google Voice call feature. If you have an account, enter any phone number and Google Voice will call your phone first before calling the number you entered. As Lifehacker pointed out, it will still call the other number if you don’t find your phone and answer before voicemail takes over, so be sure to choose wisely. Don’t have a Google account or Google Voice did not work for you? You can still reach your phone using a site like I Can’t Find My Phone to ring it for you. All you need to do is to type your phone number and hit “Hello?“. If you tried these two and it didn’t work for you or you don’t like giving your information to some websites, then this will work for you, believe me, it will. I know it sounds a little bit crazy when I asked you to play some loud music in order to find your lost phone. But this is how it works. You know that annoying noise you sometimes hear when you make a phone call, especially when you are answering a call in a noisy environment? You can make it work to your benefit here. If you are a science student or you have some knowledge on engineering you will understand what I mean. All you need is a set of speakers. Call your phone, remember it is on silent so you can’t locate it even when it is ringing. Walk around your house with music blaring from the speakers. If you get close to where the phone is hiding, the speakers can pick up the interference and replicate that same noise you hear when you are making a call in a noisy environment. If you hear a crackling sound around, you know you are close. The closer you get, the louder the crackling sound becomes. This may feel like a crazy way to find your phone… but it will help. Just locate it. If you are using a smartphone, there are a number of apps you can use to find it. McAfee’s WaveSecure app, for example, enables you to track your phone online via GPS or text message, and also allows you to remote lock or wipe your phone, even if the SIM card has been removed. This is a very good app when someone steals your phone and remove your SIM card, you can remotely lock the phone or wipe your phone using the WaveSecure app. The downside is that the app is not for free. If you want to use the app, it will cost you $19.99 annually. It works with Andriod, Blackberry, iPhone, Windows Phone, Symbian and Java Platforms. If you don’t want to spend money, there are plenty of other apps for Android devices, and PCWorld tested and reviewed three tracking apps for iPhones, including Apple’s Find my iPhone app. 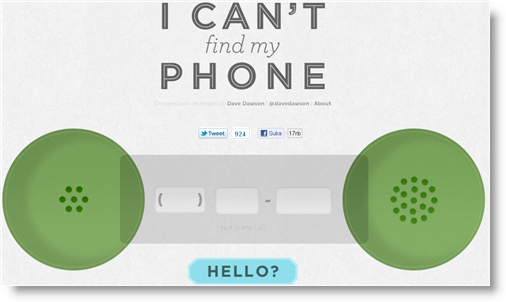 Know of any other clever ways to find a missing phone, share them by leaving your comments.